More than 50,000 visitors turned up at the Johor International Islamic and Halal Festival 2019 (FIJO 2019) that was launched on the 28th March 2019. The festival took place for 4 days at Persada Johor International Convention Centre. Organised by Warisan Advertising Sdn Bhd and FAZ Ventures Sdn Bhd in collaboration with the Johor State Government and Perbadanan Usahawan Johor Sdn Bhd (PUJB), FIJO serves as the stepping stone in making Johor a fast-growing halal hub. “People might have thought that halal products are all about food when in fact it also includes other products and services such as healthcare, pharmaceutical, travel and financial services,” said Sheikh Umar Bagharib Ali, Johor Entrepreneur Development, Cooperative, Creative Economy and Information Committee Chairman during his welcoming remark. Umar also added that the local halal industry players are also advised to be adaptable with the Industrial revolution 4.0 for them to be competitive in the domestic and international market. More than 200 exhibitors participated in this festival including those from Thailand, Indonesia, Syria, United Kingdom, Singapore and Turkey. 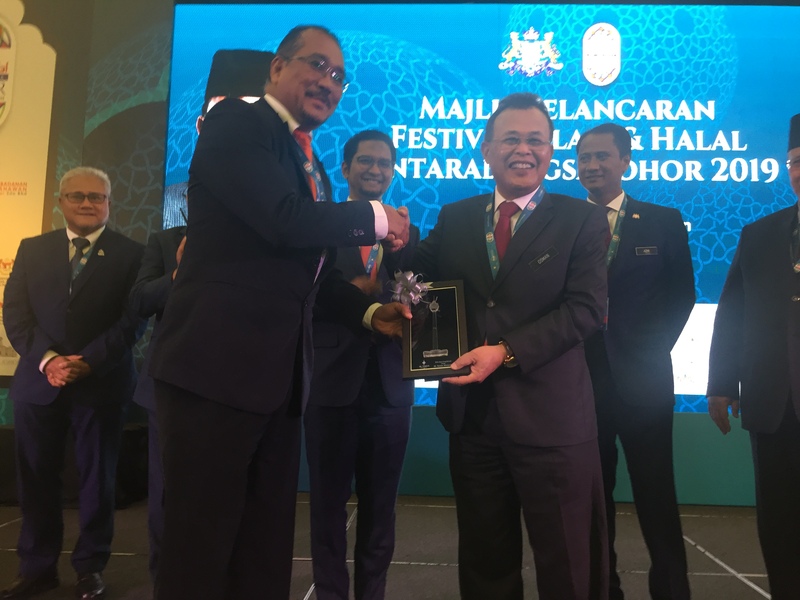 Johor Menteri Besar Dato’ Haji Osman Haji Sapian, in his opening speech said that this festival gave exposure to the local halal industry players and will drive the economic development of the Johor state. 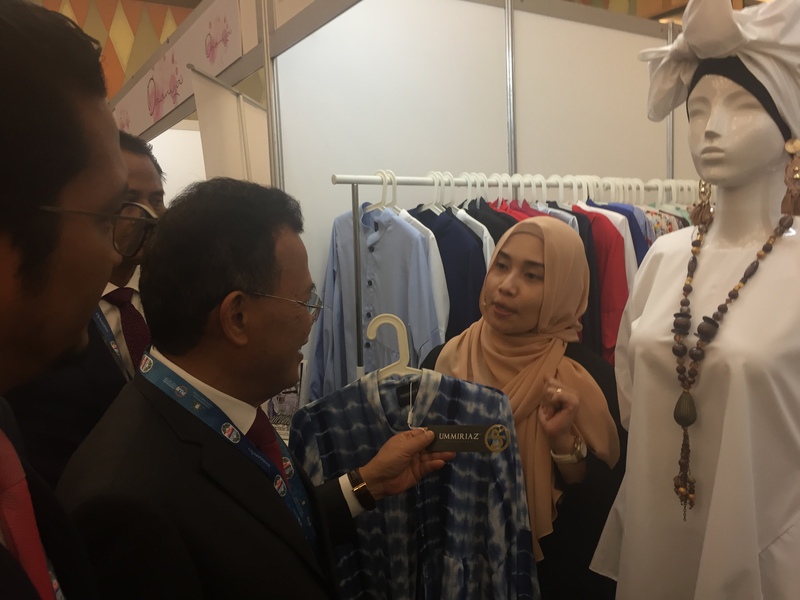 “Johor wishes to not be left behind the other developing countries such as China, Korea and Japan who are aggressively promoting their halal products worldwide,” added Osman. Also during the opening ceremony, Osman proudly launched a mobile application that was developed in collaboration with the subsidiary of Kumpulan Prasarana Rakyat Johor Sdn Bhd, Digital Johor Sdn Bhd with Telekom Malaysia Berhad under TM ONE. The app is known as Jendela Aplikasi Servis dan Solusi or JASS which is one of the initiatives to enable the local entrepreneurs to adapt to digital lifestyle. JASS serves as a platform for users to access local services within their vicinity and also a single hub for Johor’s mobile apps. 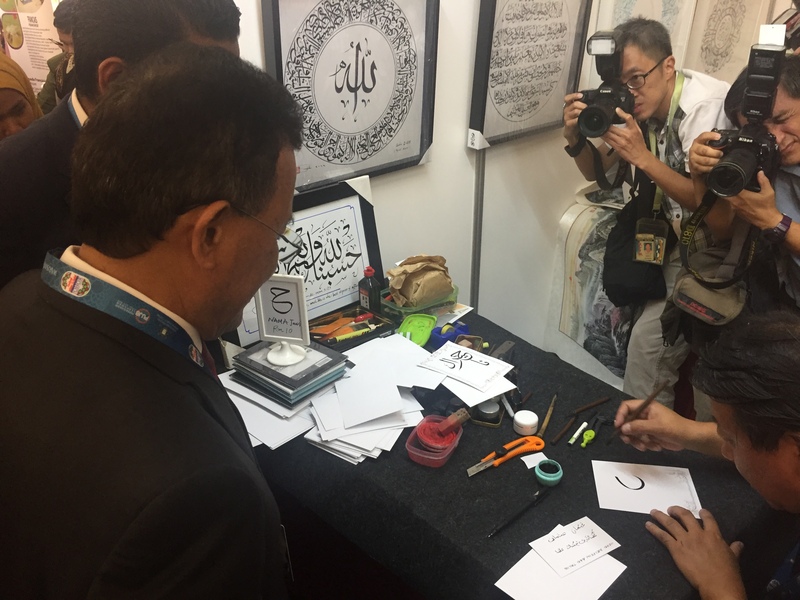 Besides that, visitors had a chance to have a closer look on the Islamic artefacts and exhibition and a mock up life history of Prophet Muhammad SAW. FIJO 2019 also featured Nasyid performance from Indonesia, Syria and local artists namely Rabbani, Nur Irsyad Group, and Awla-Saujana vs Nowseeheart. Other local celebrities who also exhibited their products include Amy Search and Rozita Che Wan.